As promised in the previous post, here is the standard size version–4 1/4″ X 5 1/2″. 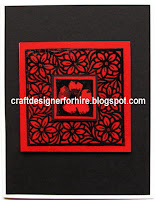 The materials used to make this card are: Cardstock: Red, White and Black, Inkadinkado® Flower Garden, Frame Stamp, Top Boss® Watermark Inkpad and Black Embossing Powder, Heatgun and Aleene’s® Original Tacky Glue. 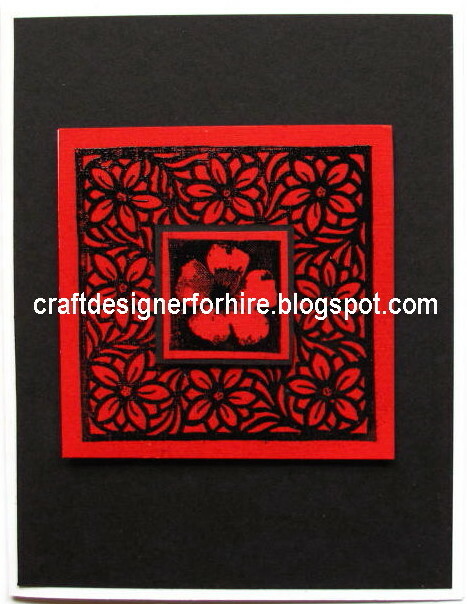 Another design option is to move the focal point down and add a sentiment to the front of this card.